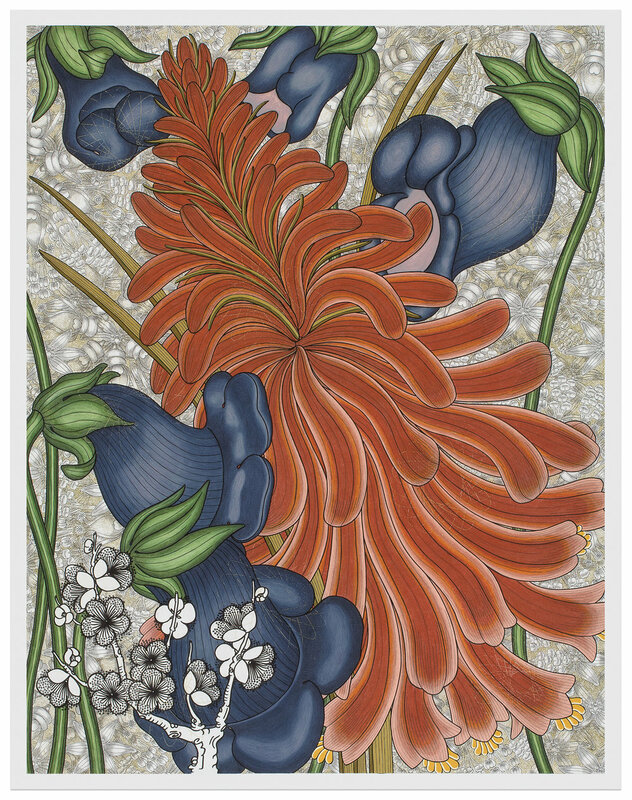 On first look, the flowers that are the primary subject of Nancy Blum’s work are reassuringly familiar. But look for a few moments, and you begin to notice that things are not what they seem. 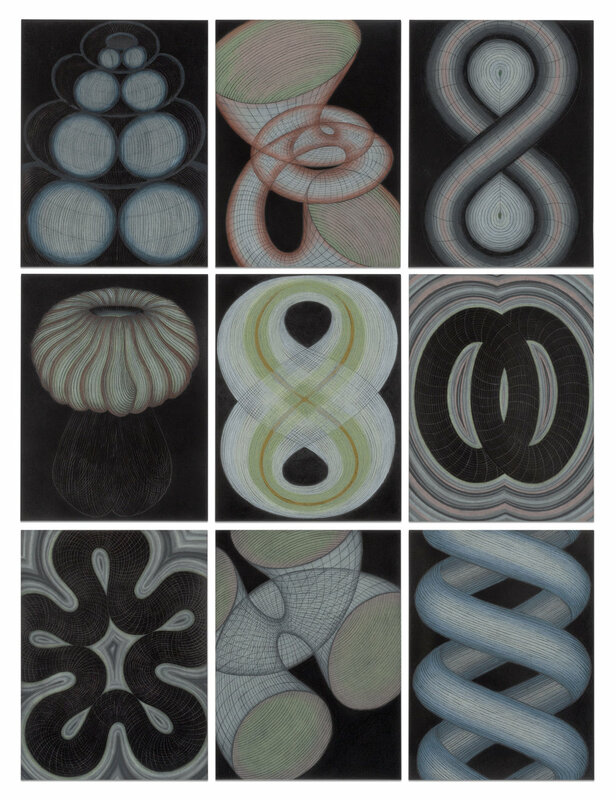 Within her botanical drawings, Nancy uses icons like a drawing of a plum blossom strongly outlined in black ink and shadowy spirographs that mimic the shape of a flower and also evoke the space age. The flowers in her drawings do not live side by side in the physical world, yet in her work their are intimately intertwined. They are botanical superheroes with agency and power without relation to human beings - we are not a part of their world. These plants carry on joyfully without us, a situation that is oddly comforting. The riotous energy that is barely contained in Nancy’s detailed wonderlands doesn’t depend on us. Nancy Blum, New Work, guest curated by Ashley Kistler, is on view at Reynolds Gallery through December 22nd.